Traveling to another country for the first time is always worrisome. You don't know the people, coupled with having a hard time to get around. But it was different when I went to Seoul--South Korea's capital and a modern and bustling city that is home to about 10 million people. 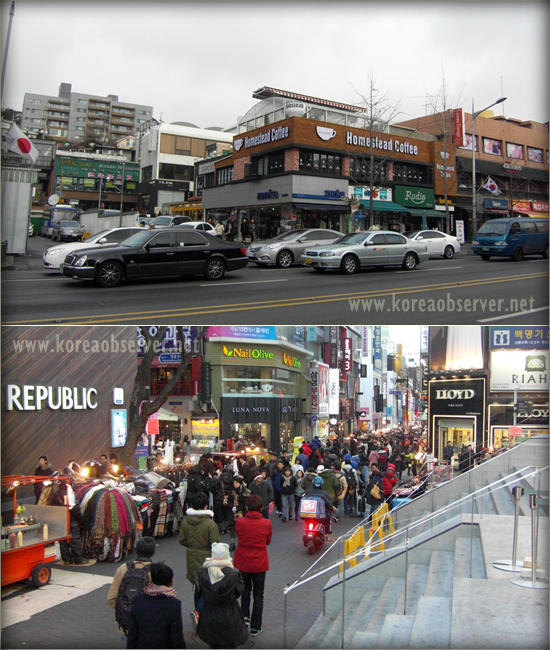 Seoul is a fascinating city: Itaewon (top) and Myeongdong (bottom). It was in 2009 when I first visited Seoul. My fascination with Korean pop and traditional cultures became the main reason why I wanted to go to this city. Seoul is one of the most developed cities in the world, ranking 8th in the 2012 Global Cities Index by A.T. Kearney and The Chicago Council of Global Affairs. One of the most highly commendable features of Seoul is its modern transportation system, which first-time visitors will find very rewarding and easy to use. From airport to bus, Seoul has succeeded in ensuring that foreigners will find it easy to go from one place to another. Seoul has the best airport in the world, Incheon International Airport. For seven straight years from 2005 to 2011, the Airport Council International (ACI), through its Airport Service Quality Awards, has named Incheon International Airport as the Best Airport Worldwide. In choosing Incheon Airport, the ACI said, "The key element of the remarkable success of Incheon was well-concerted collaboration among a large number of airport employees which is the underpinning force behind the superb services. It also cannot be achieved without continuous support from the central government." "With the state-of-the-art airport facilities, Incheon enhances passengers' satisfaction by offering seamless connecting services. Its cutting-edge information technology allows passengers to enjoy its unique cultural experiences as benefits from fast arrival and departure services. With the introduction of culture and art programs in line with its vision of Cultureport, museums and Traditional Cultural Experience Centres are situated to offer year-round cultural performances," it added. In addition, Incheon International Airport was voted by travellers as world's Best Airport at the 2012 SKYTRAX World Airport Awards. This is the second time since 2009 that Incheon International Airport received the prestigious award. 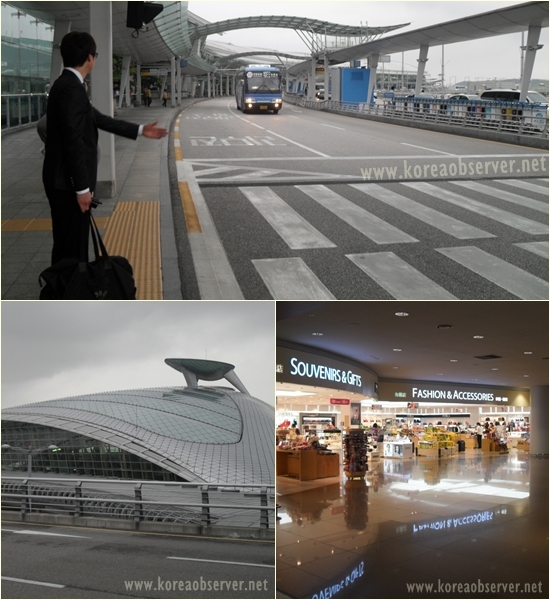 These accolades are a testament to Incheon International Airport's efficient and excellent service, and great facilities. For one, the airport integrates bus and rail systems for travelers. In my first visit to Seoul, no one met me at the airport but I was able to go to Seoul in no time, thanks to the airport's helpful personnel. My friend, who I would be visiting, was working outside Seoul so she wasn't able to fetch me at the airport. Good thing that Incheon Airport's website provides instructions and guides on how to travel from the airport to Seoul. In addition, personnel at the information kiosks were very helpful. From the airport to your destination, you can travel by bus, taxi, airport, the Airport Railroad Express (AREX) subway line. After going through immigration and customs, I went to find the bus ticket counter inside the arrival area of the airport to buy my bus ticket. (There's also a ticket counter outside the arrival area). Before you buy your ticket, know where you are headed and ask people at the information kiosk which bus number to take. Buses in South Korea, especially Seoul, are numbered. Each bus has its own route so it's easier. The bus stops are just outside the exit at the arrival area. Just look for your bus number stand and wait for the bus to arrive. Helpful personnel will assist you in putting your luggage in the side compartment of the bus. 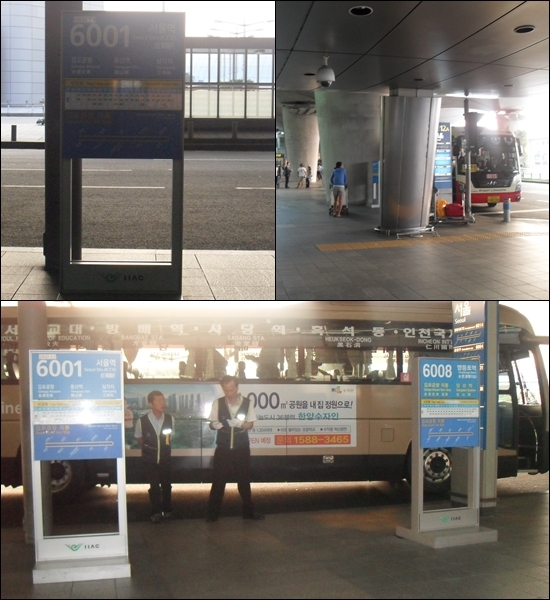 The bus stop just outside the arrival area of Incheon International Airport. the passenger loading area and a bus waiting for passengers. Indicated on your bus ticket are the ff: the amount, bus stop and destination. I was headed for my hotel near Sookmyeong University so I took bus 6001 (Dongdaemun Fashion Town Route) going to Sookmyeong Women's University Station. Don't worry about missing your destination. Inside the bus, automated recording announces every bus stop in English and Korean. The bus system at the airport follows a schedule. Even if you're the only passenger, the bus will depart on time. During my second visit to Seoul last January, I took bus 6030 going to Itaewon where I met my friends. The bus ride cost me 15,000 won (about $13), which was very affordable considering that Incheon Airport is 48 km from Seoul. When you depart from Seoul, it's the same thing. You can ride the bus from Seoul to Incheon Airport. One of the most convenient aspects when you are in Seoul is that you can go from one place to another very easily because of the subway and bus. During my first visit, I went around Seoul alone for two days but I enjoyed it. Seoul's subway is one of the most modern in the world. Each subway line is color-coded to make it easier for passengers. Using the subway is very convenient. To ride the subway, you can either buy a ticket from the automated vending machine or you can purchase a T-Money card from convenience stores in Seoul or at the subway station. 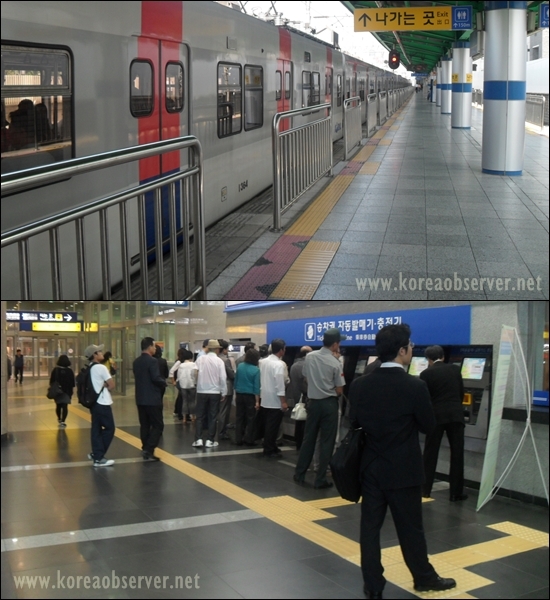 For more information on how to ride the Seoul subway, go to the Seoul Metropolitan Rapid Transport Corp. site. You can use the T-Money card to ride the subway, bus or taxi. For tourists, you may also use the M-Pass card, Seoul City Pass or Seoul City Pass Plus cards. For more information on these cards, go to the Visit Korea site. Buses in Seoul are also numbered and color-coded. And at every bus station, there is a bus route map. You can also take a taxi to your destination. For first-time travellers to Seoul, you'll find it very easy to go around, thanks to the efficient transportation system in Seoul.